- Go from weighing 210 pounds to 175 pounds in 6 months. - Save $5000 in the next year. - Learn 1500 words of a new language in 10 months. 2. Create actions that you have to do regularly to help you reach your goal. 3. Create affirmations (with pictures) that can be shown to you daily to keep you motivated. 4. Keep track of your results and make sure you stay on target. 5. Brainstorm ideas to help you achieve your goals. Please leave comments and feedback about this application here. 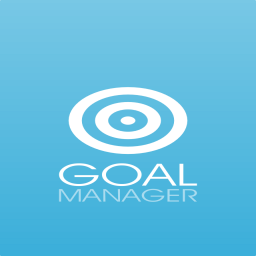 The app walks you through the steps of creating a goal that can be followed up on and managed. Summary screens like this guide you every step of the way. Once you have set your long term goal, the app will create short term goals for you to keep you on track. This way you always know whether you are on track towards achieving the goals you have set. Affirmations and pictures can be added to keep you motivated to achieve the goals you have set out for yourself. There are two types of actions that you can enter. One type just requires a yes or no answer to whether you performed it or not. Eg. Did you walk upstairs today? The other type requires you to enter a value that keeps counting until an action target is hit. Eg. How many cups of water did you drink today? The "View Progress" screen lets you keep track of all your goals at once. Progress bars show your current and overall progress. You can also view any affirmations you have created anytime from this screen. As you enter your goal progress, you can view your updated targets from inside this progress screen. The app also lets you manage notes and brainstorm ideas you may have along the way, to help you achieve your goals.